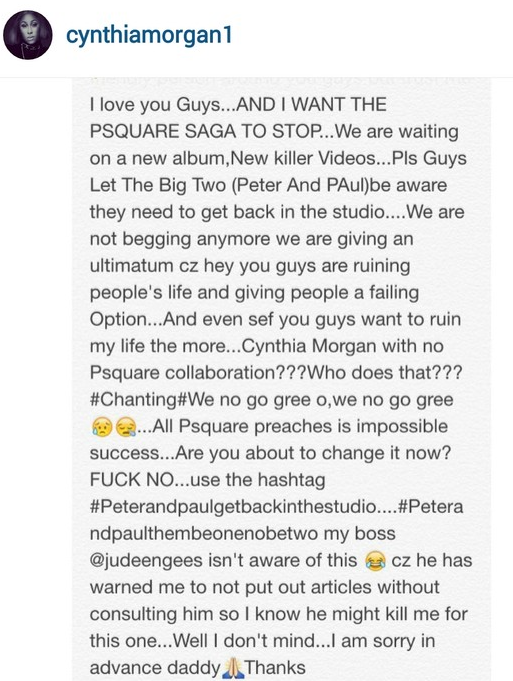 Cynthia Morgan wants Psquare back, begs Peter & Paul to reconsider. 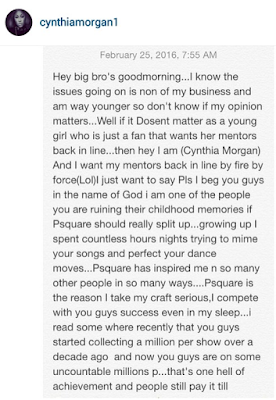 Psquare broke many hearts when it was revealed that the brothers were having serious issues. 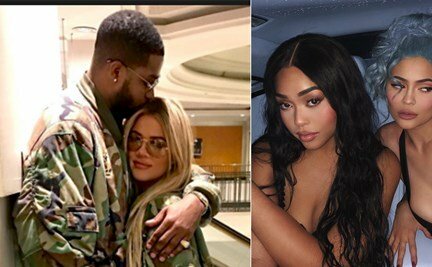 Their beef with each other is so serious that it seems the brothers have officially broken up even though they are yet to release a statement. They post pictures of themselves doing individual things on social media and Paul just launched his record label Rude Boy Records. 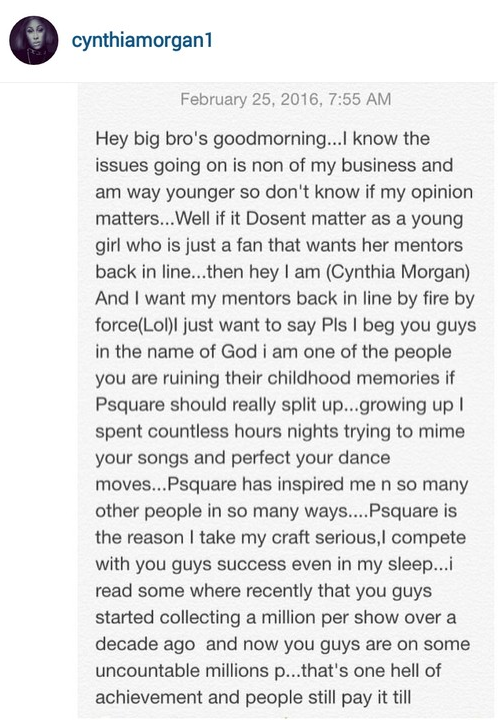 Cynthia Morgan who worked closely with Psquare thanks to being signed by their manager Jude, begged the brothers with a lengthy post as seen above. 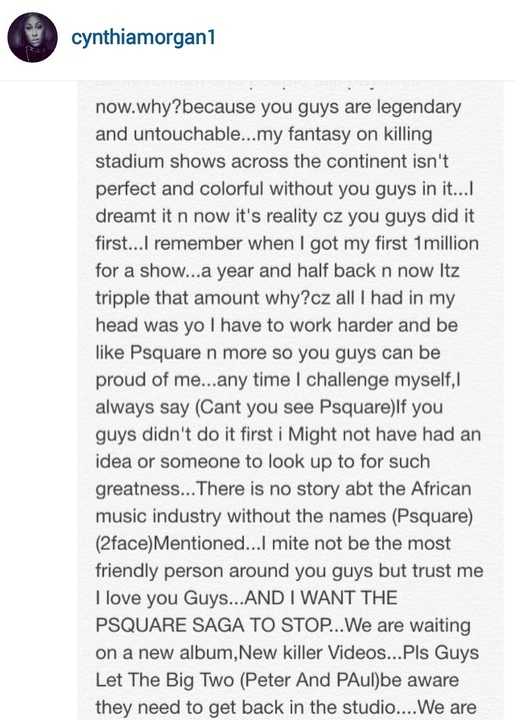 More of her message to Psquare after the page break.